I have to confess: I have never eaten any cuisines sold by a food truck. It’s on my bucket list though. The closest thing to a food truck for me is the ice cream trucks. I hear the ice cream truck’s song in my head now. 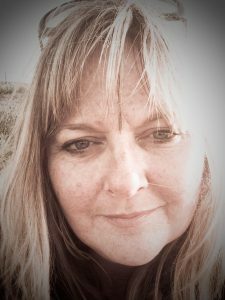 Recently, while taking part in the #rsabizblogs blogging challenge by Sam Posselt of the SA Biz Chat tribe, I met Julie George who is a food truck owner. Whoop whoop! 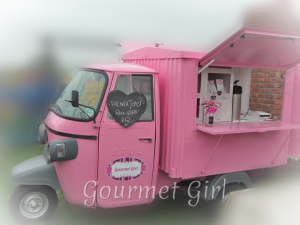 Her gorgeous pink truck also known as The Gourmet Girl PE is seen driven around in Port Elizabeth. 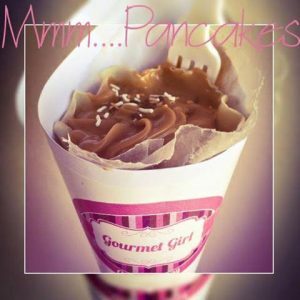 Julie sells pancakes with sweet and savoury fillings. Hmmm! Other delicacies include doughnuts and carrot cakes. Julie says she also does catering. Julie George, owner of the Gourmet Girl PE. Thank you Julie for giving us the opportunity to get to know you. All the best with your journey ahead! 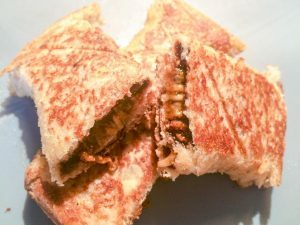 Connect with Julie AKA Gourmet Girl PE on Facebook or Twitter. Ah a fabulous article thank you so much!!!! And all the best to you on your blogging journey.